Artists, architects and designers have come up with some novel solutions to the old question of how to transform Scotland’s post-industrial spaces. They have unveiled features and structures that they say offer a bold vision of how to reclaim derelict land. They include a new take on the bothy, usually a remote place of refuge in the countryside. The urban bothy, proposed near the M8 in the heart of Glasgow, would educate people about the history of the motorway and act as a “shrine” to the much-derided road. The project, known as Test Unit, includes members of Assemble, the London-based architecture and design collective that won the coveted Turner Prize in 2015 for its work transforming derelict houses in Liverpool. Five teams looked at ways to reclaim vacant spaces at Speirs Locks, on the Forth & Clyde canal north of Glasgow city centre. The waterway supported breweries, distilleries and warehouses, but after the construction of the motorway in the 1960s, it was largely forgotten. 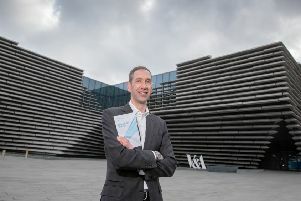 Now, however, the area is home to a small but thriving creative community, with art exhibitions and a dance studio used by the Royal Conservatoire of Scotland. The latest proposals, a fusion of modern art and urban planning, include a lighting system on pathways outside buildings that changes colour when pedestrians or cyclists pass. The concept, overseen by London lighting designers Jason Bruges Studio, is billed as a way of reminding people of the “energy and activity” of forgotten buildings. One team, led by Amica Dall, a director of Assemble, devised Common Block, a communal fire cooking kit to be used by people living and working in Speirs Locks. Another prototype, aimed at transforming a derelict nursery, saw artists reclaim the building using a nursery “inspired” typeface, with scrap materials used to create giant musical instruments. Helen Teeling, producer of the Test Unit scheme, said the ambition was to see the prototypes become a reality.